I have developed this class in response to what seems to be a growing number of individuals who wish to actively manage their physical health conditions but struggle to participate fully in mixed group classes due to specific limitations. 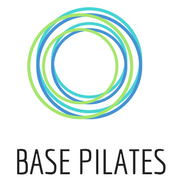 This physio-led Pilates class will provide a safe space to build confidence in movement and exercise without a feeling of overwhelm, or exclusion that can sometimes occur in mixed ability groups. If you are recovering from illness or injury, or managing a longer term condition such as arthritis, or simply wish to participate in gentle, encouraging movement class without pressure to “achieve” more reps, more “burn”. If you are unsure about what your body is capable of following injury or in light of ongoing conditions and feel this is a barrier to you moving forward with positive health goals, this is the class for you. To register your interest or find out more – contact me today.